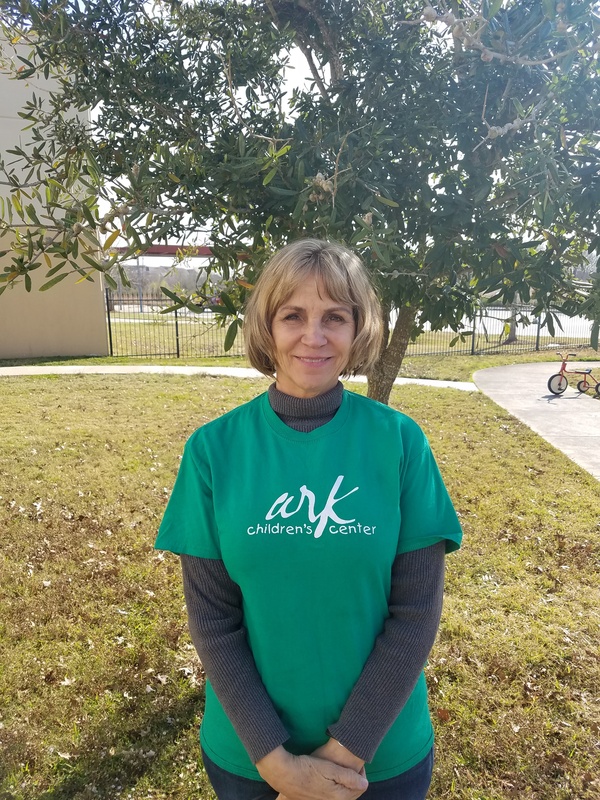 I have attended Gateway Community church since 1996 and have always heard wonderful things about the Ark Children’s Center. After getting married in 2012, we welcomed our first child in 2013. Of course, she had to attend the Ark! Then, just this past summer, I was blessed to be asked to serve as Director. I am proud to have joined such a nurturing, unique and wonderful teaching environment! What I love most about the Ark is that my children have a safe place where they can learn, grow and pray with their teachers and friends. I pray God grants me many more years with this amazing school! I have been married for 27 years and have been blessed with three children that are 22, 17 and 13. 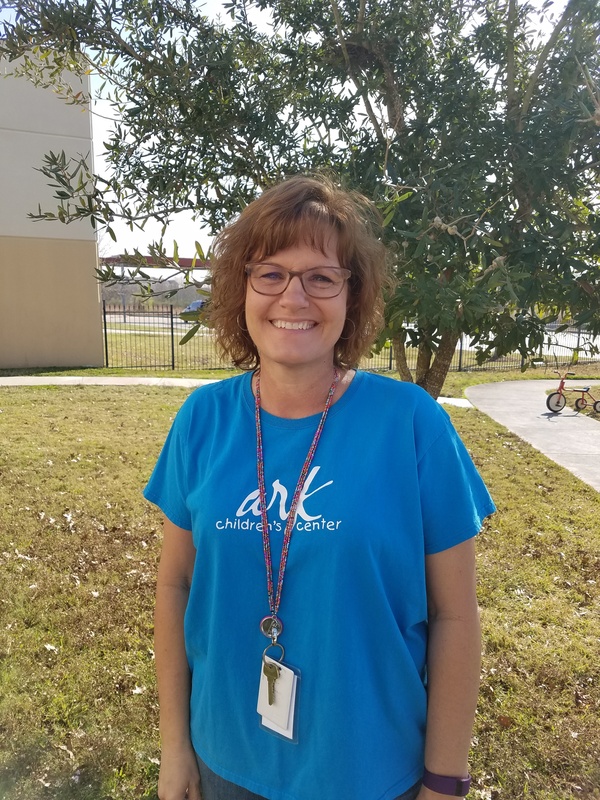 I have worked at The Ark for 18 years, starting out as a Teaching Assistant in the Pre-K 2 class. Now, I work as the office manager. What I love most about working at the Ark is seeing God at work in the school each day. Here at the Ark, family comes first! Hello, my name is Mary Bryant and am the Assistant Administrator. This is my first year at The Ark Children’s Center at Gateway Church. I am so fortunate to work with the most amazing women who spend their days caring for and teaching children. I am a resident of Jamaica Beach in Galveston and love spending my spare time at the beach with friends and family. I am blessed with two precious granddaughters, Raylee, age 6 and Haidyn, age 3, who love the beach as much as I do. I also share my home with a most adoring dog named Coco. 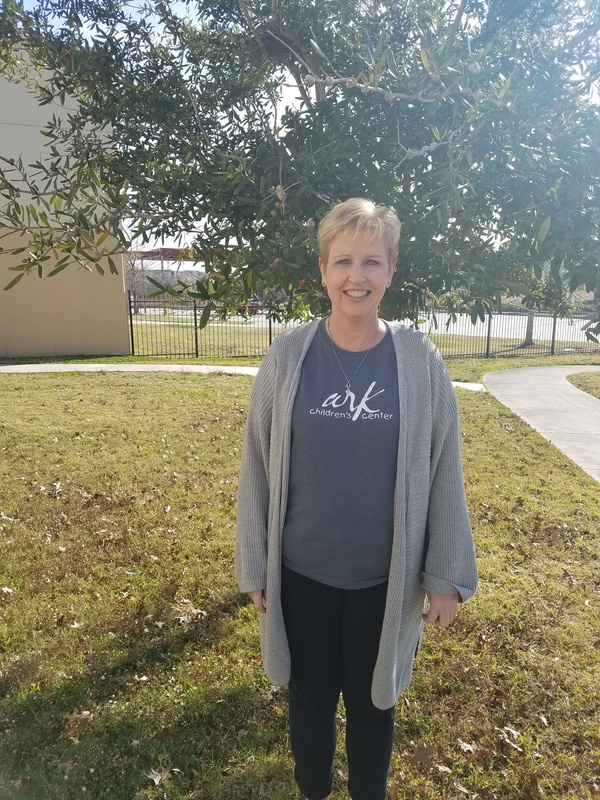 My name is Janice Hein and this year I teach the 5-day Pre-K4 class at the Ark Children’s Center. 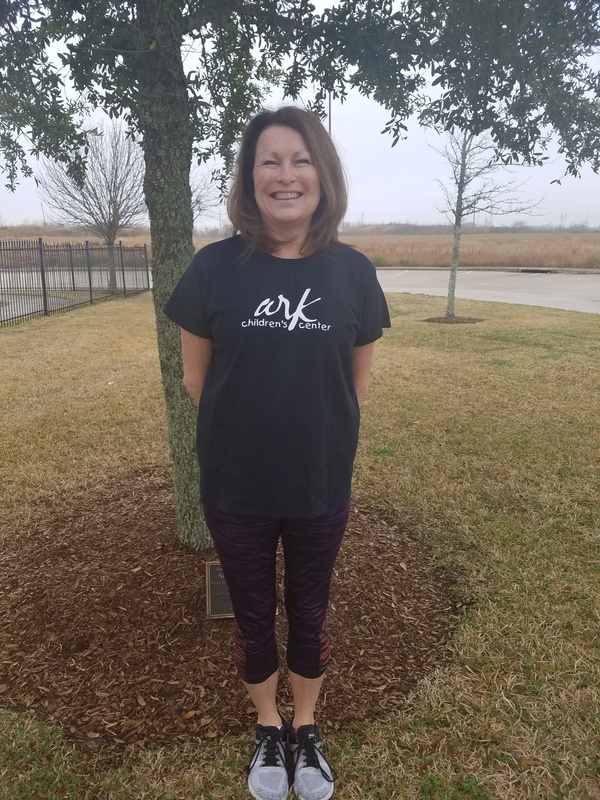 This is my seventh year to teach at the Ark! I graduated from the University of Houston CLC in 1981 and I completed my Masters in 1983. I previously taught Kindergarten in Deer Park I.S.D. I really missed teaching young children and when the opportunity for to join the Ark became available, I couldn’t pass it up! I love teaching young children and their unique sense of “wonder”. It has been my experience that every child loves to learn and they each have their own way of learning! Hi! 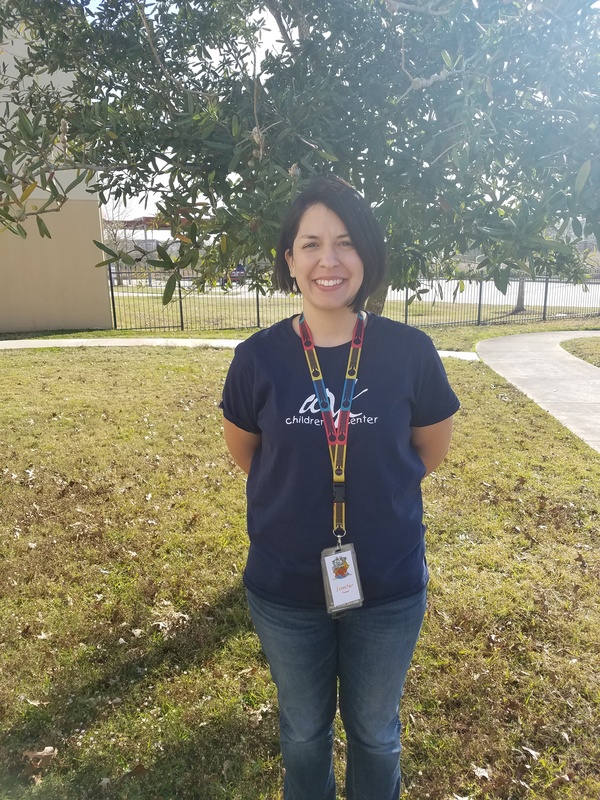 My name is Karen Barcenas and I am the assistant in the Kangaroo class. I have worked at the Ark for 10 years and have been the assistant in the 2s, 3s, 4s and Kinder classes. I LOVE working at the Ark! There is not a better bunch of ladies- their positive energy, enthusiasm and Christian spirit is witnessed by and passed on to every child, every day! Hi! My name is Jess Beyette and I am the lead teacher for the M-W-F Pre-K 4 class. I am 42 years old and have been married to my husband Thomas for 10 years. Together, we have four children and one grandson. I attended Jones County Junior College and the University of Southern Mississippi where I perused a degree in Speech Language Pathology. This is my fourth year to teach Pre-K 4 and 5-year-olds at The Ark Children’s Center, and I absolutely love it! I’ve worked with children for many years in Sunday school, Bible School, Children’s Church, and as a drug education parent volunteer. My youngest two have been through this program and I was thrilled for the opportunity to become part of such an amazing staff of passionate educators. 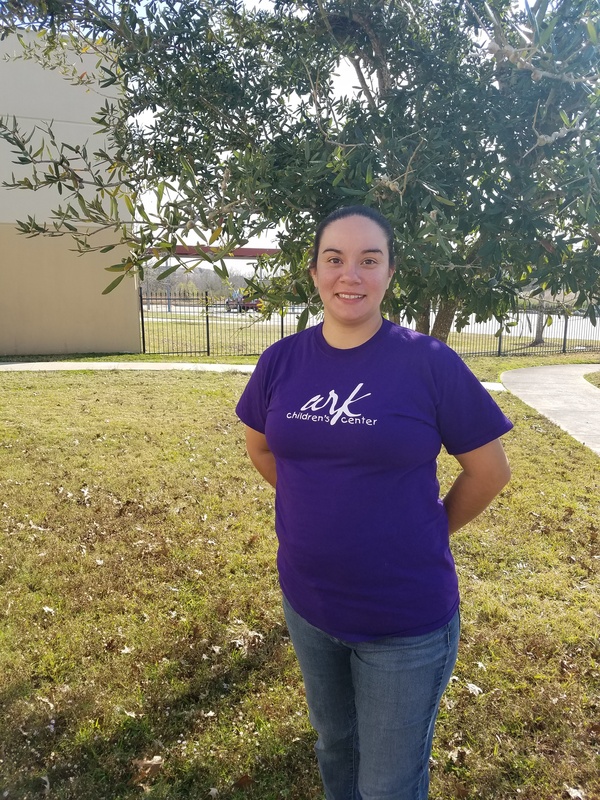 My name is Karrole Harvey and I have been a teacher and/or assistant teacher at the Ark for 2 years. I am also the mother of 3 boys. I enjoy the Ark because of the small class sizes which give the opportunity for individualized learning in a faith-based environment. 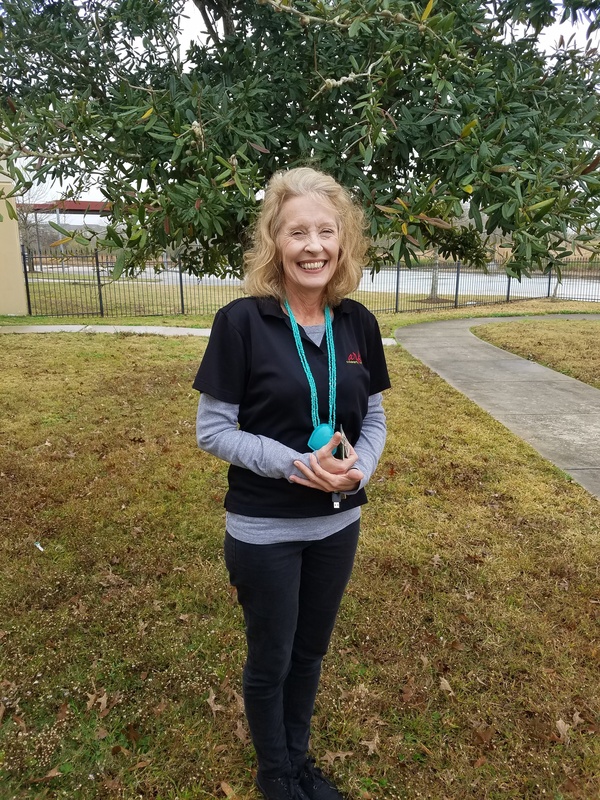 My name is Lynn Scarborough, and this is my second year teaching 3-year olds at the Ark. I have been teaching early childhood for over 30 years. I love teaching little ones and giving them a positive start to their school experience. I am married and have 3 daughters and 4 grandsons. We have lived in NC, Louisiana before coming to Houston 20 years ago. Working in the loving and nurturing environment of the Ark is a joy. Teachers here work together to encourage children who are achieving in the classroom, and also encouragingly understand if there is a problem. I love being here. My name is Lesley Barrie, and this is my 12th year teaching at the Ark. This is my second year working in the Lion’s class, but I’ve also taught in the 2s, 4s and kindergarten. I am originally from Scotland and moved to Houston with my husband Mitch in 1995. We have two children, Eleanor (22) and Alex (19) plus a fur baby, Teddy (5). 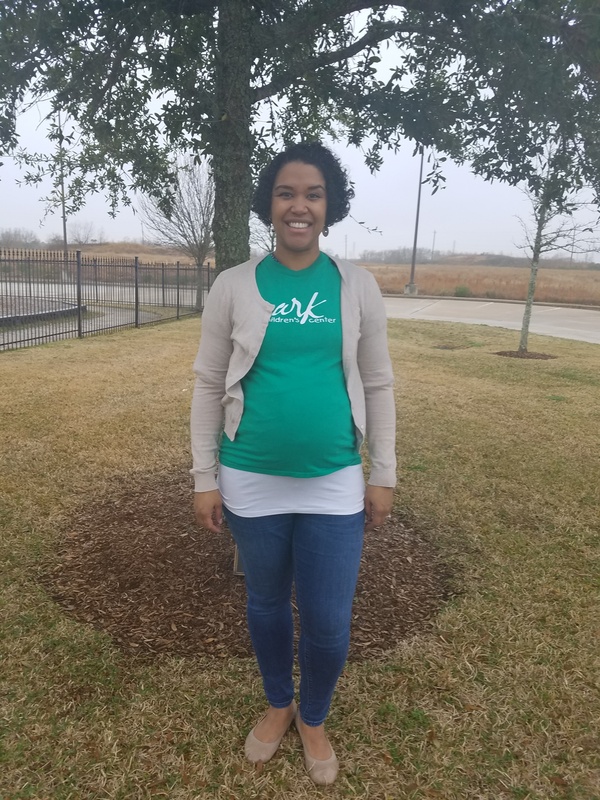 At the Ark we understand that your child’s pre-school years are the foundation for a lifetime of learning and we appreciate you trusting them in our care. I love working at the Ark with the most amazing and creative teachers. I consider it a privilege to work in such a nurturing and Christian environment. My name is Shelley Tamas and I am married with 2 sons. I have had the pleasure of working at the Ark for 15 years. I am currently the 3-year-old Bears teacher. I have also taught in the 2-year-old class. My son was a student here for 3 years and I realized how amazing the school was! I have made so many great friends with not only the staff but the Ark families as well. When I am not working, you can find me either at the beach or our ranch; my happy places! 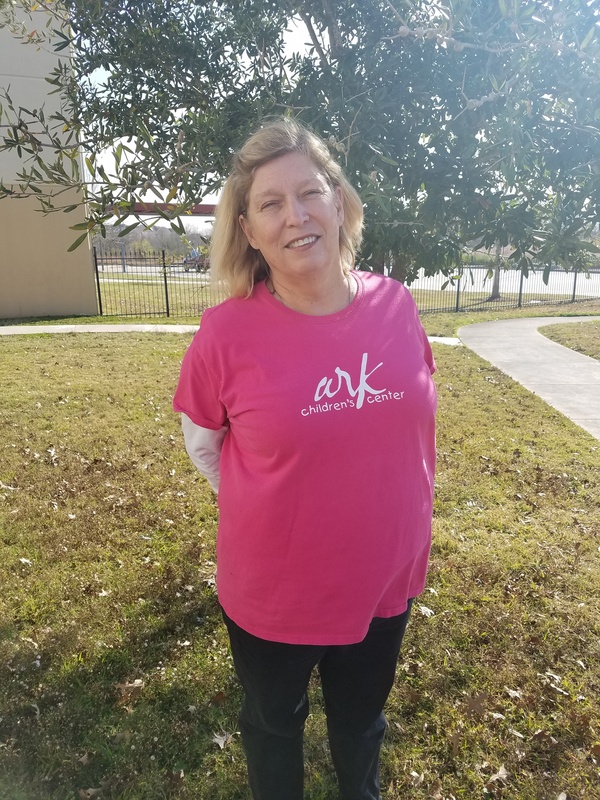 I’m Winnie Morano and this is my second year teaching at The Ark. I’m originally from West Virginia but have lived in Clear Lake for 16 years. I have two children: Hayden, (22) and Cobi, (19). They both are in college. I have so much fun teaching alongside Ms. Shelley in the Bears class. We laugh and play and learn. It brings me such joy seeing our Bears experience new things through art and play. 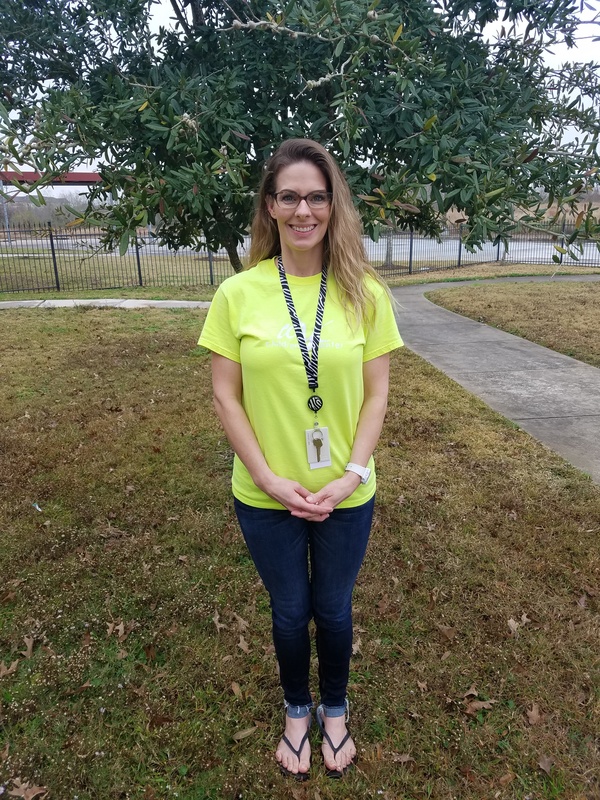 I am Jennifer Tieman and this is my first year as part of the Ark teaching family. I have 13 years of previous teaching experience. I taught middle school math and science for 9 years before taking a break to be home with my children. I taught the infant to 3 years old class in Sunday school for the last 4 years. My husband, Matthew, and I have 2 young children. Miranda is 6 and Marek is 3 years old. I love introducing my students to art in different mediums and helping them connect new ideas and concepts to things they find in their everyday life. It is my privilege to help the children explore their world in a safe and loving environment. 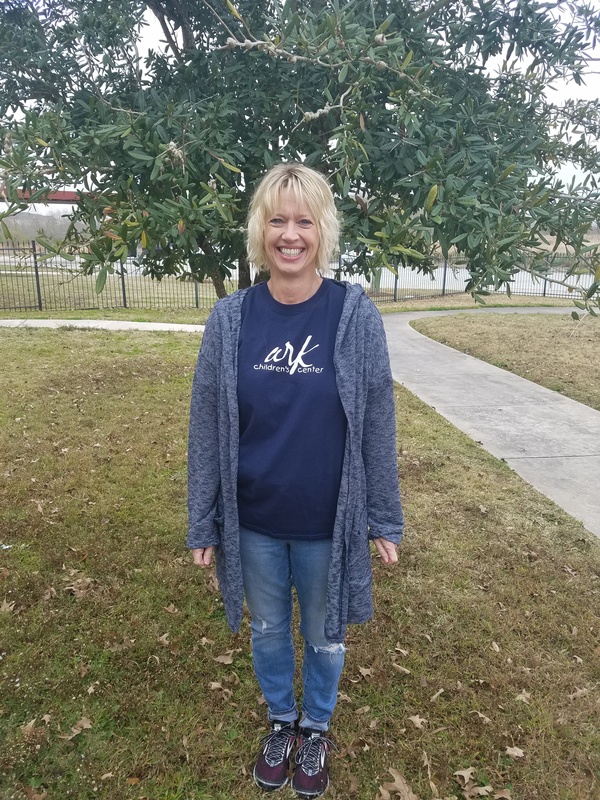 My name is Linda and I started working with Ark in November 2018. I had 3 previous years of teaching in a Preschool and MDO environment. My husband and I have 4 wonderful children. We have been married since 2004 and more than anything we enjoy having quality fun time with our children. We love going on camping trips, bike riding and having family-movie night. We attend church every Sunday and my children participate in CCE classes. I look forward to helping your child grow spiritually and educationally! 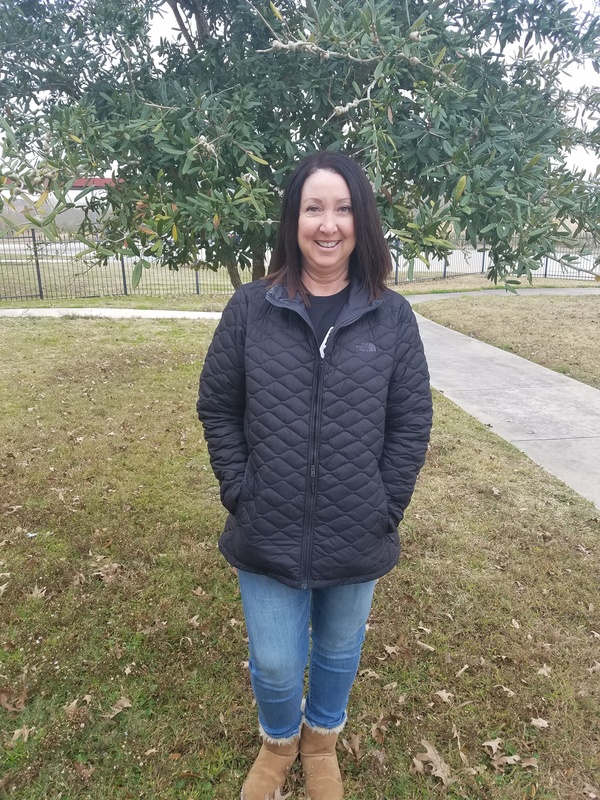 I am Joanne Botto, and this is my second year teaching in the Ducks classroom. 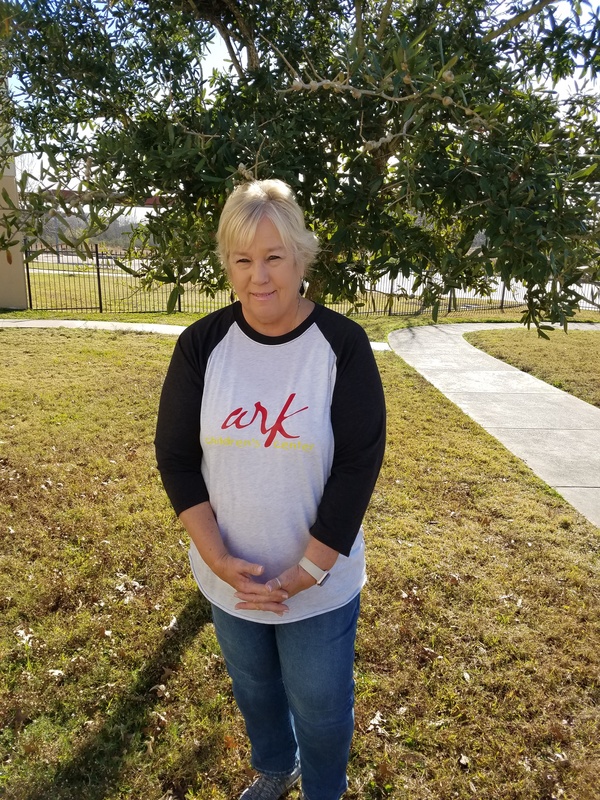 Two of my four children were students at the Ark, so the Ark has held a special place in my heart for almost 20 years. When not at work, I enjoy spending time with my husband, being a grandmother, crocheting and camping. My name is Mindy Yelovich. I have been the PE teacher at the Ark since 2008. I have worked with preschool aged children for over 20 years as a classroom teacher, elective teacher, and as a director. As the PE teacher I plan gross motor activities that are developmentally and age appropriate, that encourage movement, and are sometimes challenging. 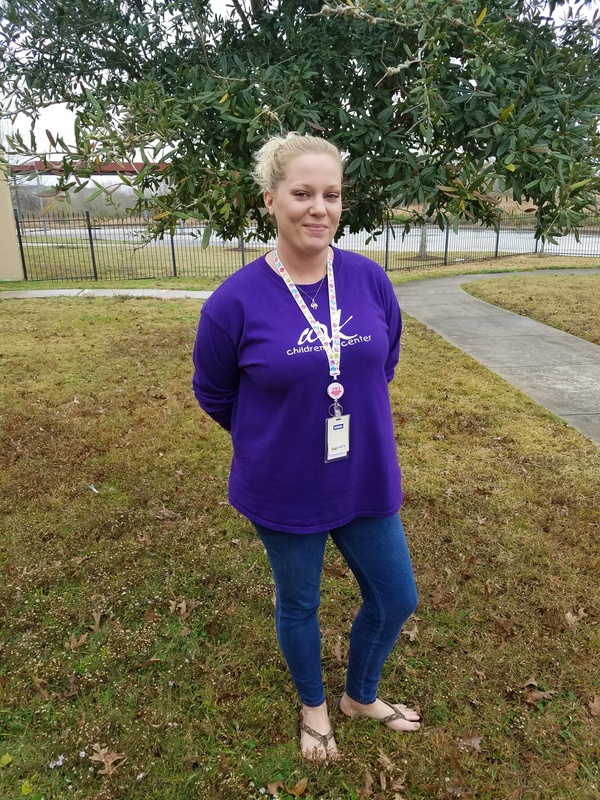 The Ark is special because of the low teacher to student ratio, the loving and caring staff, and because it offers PE as an elective! Hi, my name is Carol Toombs. I have been the music teacher at the Ark since January of 2000. Music class provides a daily, unique enrichment experience designed to encourage growth and development through fun play-based musical activities. We use instruments, movement and multicultural music. I love teaching at the Ark as it demonstrates faith-based concepts where children feel safe and nurtured.